A Bill reversing the effect of the UK Government’s Trade Union Act is expected to be introduced in the National Assembly for Wales today. Last year the UK Government passed the Trade Union Act 2016. This will impose stringent new strike ballot thresholds in public services and will also monitor and restrict the activities of trade unions in supporting the workforce. The NHS, education, local government and the fire service are examples of devolved public services which are therefore the responsibility of the National Assembly for Wales. The Welsh Government’s Bill would dis-apply parts of the Act that relate to these services. If the Bill is passed by the Assembly, the imposition of an overall support threshold of 40% on strike ballots, provisions on trade union facility time and conditions on payroll deductions for trade union membership, commonly known as check-off, will be reversed. “We have always said that the Trade Union Act was unnecessary and would lead to more confrontational relationships between employers and workers, undermining rather than supporting public services and the economy. “Not only is the Act damaging and divisive but it interferes with devolved policy and the powers held by the National Assembly for Wales. 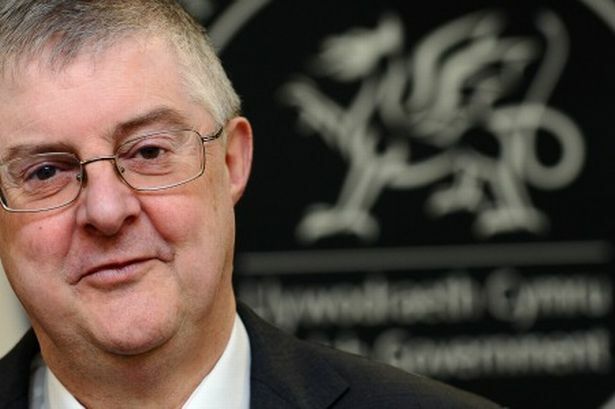 “This hugely welcome and important Bill is about protecting the ability of unions, employers and the Welsh government to work in partnership in devolved Welsh public services. “The Welsh government is today putting partnership into practice. The First Minister and the Cabinet Secretary promised to stand by Welsh public sector workers and they have delivered.